When it’s cold and rainy during winter, we all dream of escaping a few days to a warmer place. 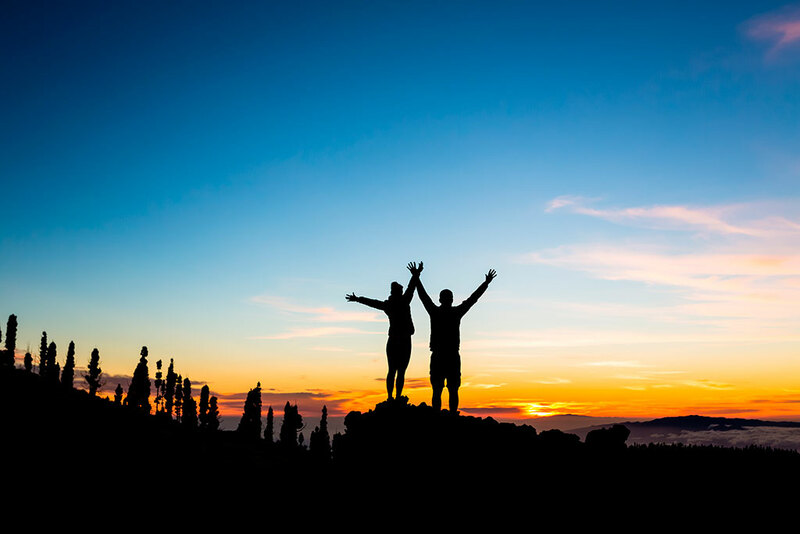 Going to a very far away holiday destination where it’s summer may be too expensive and not worth it due to the time-consuming long-distance flights. But going away for a long weekend to Tenerife and being able to enjoy your breakfast from a terrace with views or having nice walks is something! That’s why the Canary Islands are a very popular destination for winter holidays. You can easily find affordable flights and the weather in Tenerife is usually mild with lots of sunshine. 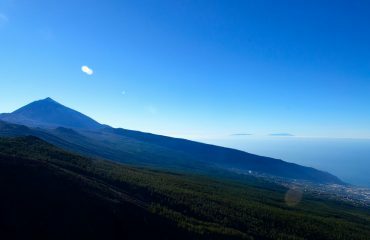 In the south of Tenerife, the temperature usually oscillates between 17º and 26ºC during the winter and in the north of the island, between 14º and 23ºC. 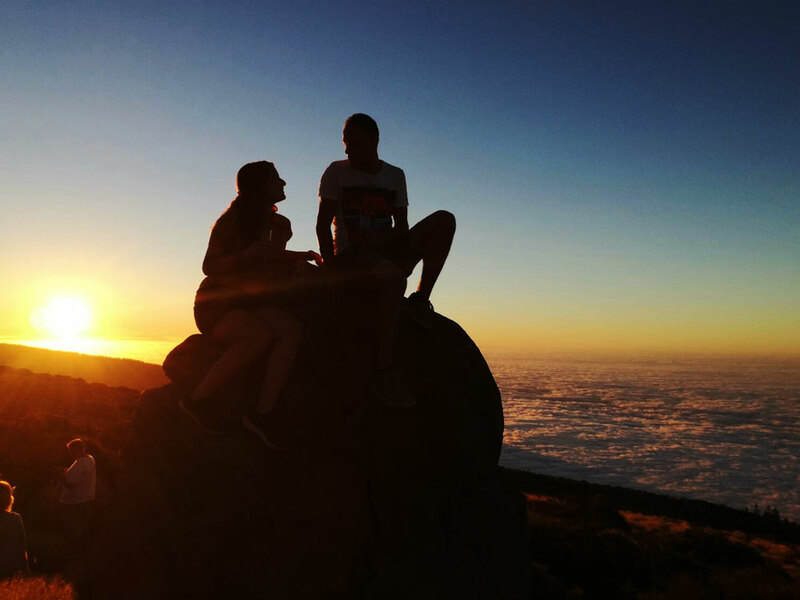 Furthermore, there is a very romantic and intimate feel about Tenerife during the winter. You will find less crowded restaurants, beaches, promenades and historic monuments. 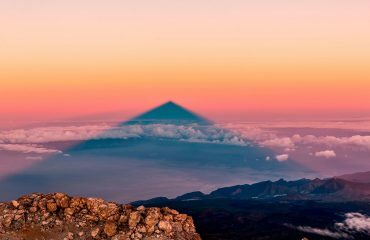 Hence, there’s a better chance of getting to know the real Tenerife and to have more romantic moments with your company. 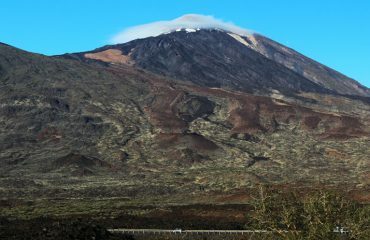 The Teide National Park is one of the most visited National Parks in the world and it was declared a World Heritage Centre by UNESCO. It’s not only astonishing because of its extension and volcanic formations with rich colours; it’s one of the best places in the world to study the sky. At 3.000m of altitude, you can enjoy one of the most beautiful sunsets over the clouds and discover the starry sky without light or air pollution. 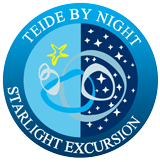 That’s why we think that our Teide by Night excursion is a perfect gift for somebody special. Maybe you didn’t know that Tenerife’s wine production and tradition goes a long way back to the XVI century. Writers like Shakespeare or Góngora used to praise its wines in their writings. Nowadays, Tenerife counts with 5 Designations of origin: Abona, Tacoronte-Acentejo, Valle de Güímar, Valle de la Orotava and Ycoden-Daute-Isora. The abrupt volcanic soils and the different microclimates give the wines a special character; the steep terrain makes mechanised cultivation very difficult in the region. 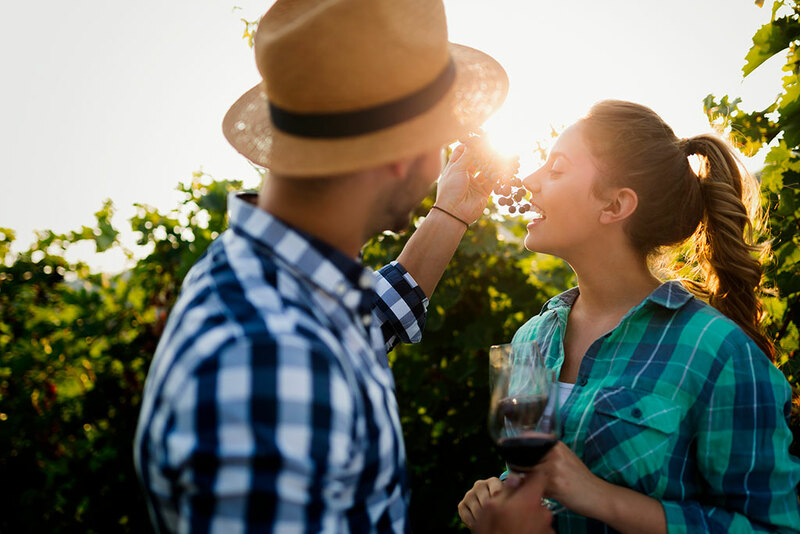 Having a nice walk through Tenerife’s vineyards, enjoying a private wine tasting or trying a traditional lunch at one of the bodega’s restaurants sounds like a perfect romantic plan for us. 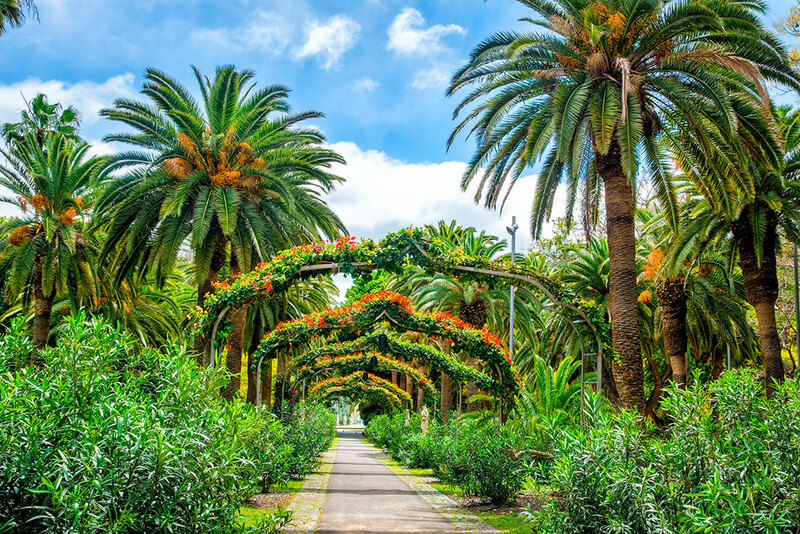 The capital of Tenerife is full of life and it enjoys very good weather throughout the year. Even though it’s located north of the island, It’s not unusual to walk around in a T-Shirt during the winter. If you would love to know more about the Canary Islands and its history, we recommend you to visit the Museum of Natural History and Archaeology. The park of Garcia Sanabria is perfect for a nice walk and it hosts lots of markets and activities. The San Telmo Promenade in the touristic town of Puerto de la Cruz is one of the longest seafront promenades you can find in Tenerife, and surely the most lively. Big shops and small local businesses coexist with beautiful colonial style buildings. You can see the big waves of the strong north-coast of Tenerife hitting the promenade while you enjoy a coffee on a nice terrace. Also nice is to relax and sunbathe by the in the salty pools of Lago Martiánez. San Cristóbal de la Laguna was named a World Heritage Site thanks to its perfectly preserved historic centre. The picturesque streets are laid out on a grid, unlike most of the cities that tend to have irregular and narrow streets due to its medieval origins. 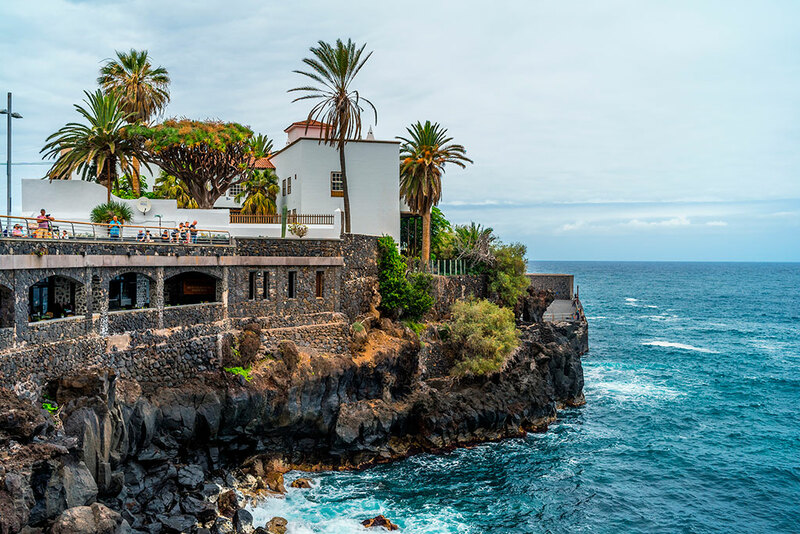 La Laguna was a planned city by the Spanish Conquerors since there was only a lake in the area when they got to Tenerife, which gives the city its name ‘La Laguna’. Nowadays, the historic centre is closed to cars, which makes it even more enjoyable to discover the beautiful patios and the eclectic architecture with a mix of the XV to XVIII centuries Spanish, Portuguese, British, Flemish, Italian and French influence. 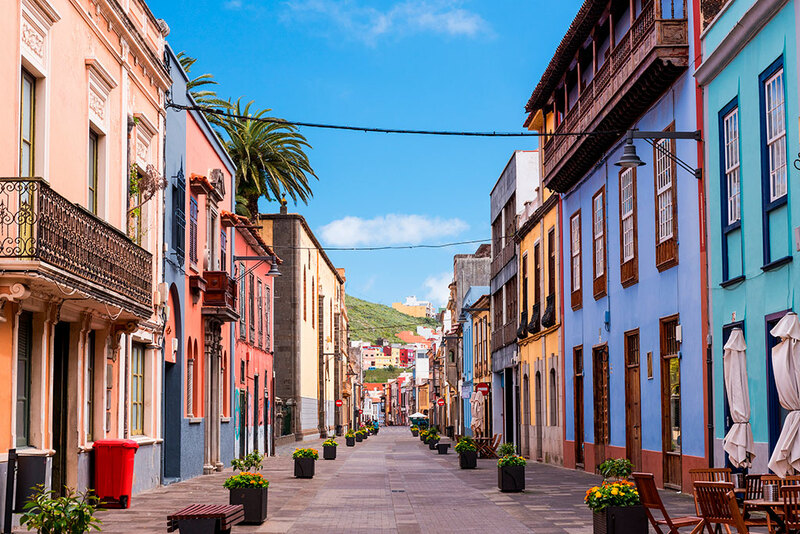 La Laguna was the capital of Tenerife for over 300 hundred years, that’s why you can find the first University of the Canary Islands in the former Convent of San Agustín. Nowadays, it hosts the highschool Cabrera Pinto, but its best well-kept secret is the hall hosting the Museum of Natural History and the hall with a great collection of old Scientific Instruments.